“Over the past number of weeks Republican prisoners have witnessed an upsurge in harassment against our visitors. These escalations in provocative behaviour have now become a routine occurrence, with family, friends and loved ones enduring intimidation from bigoted screws. “In the past week alone there have been several incidents. In the first one man was dragged from the visits, forcibly strip searched and held in isolation for 48 hours. This was highlighted at the time, but the gaol administration remained undaunted. Subsequently the so-called ‘drug dog’ reacting to visitors has been used to prevent visits from taking place. 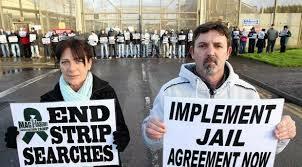 Saoradh in Ard Mhacha is organising an anti-extradition protest on November 11 in Newry. The protest will take place at Newry courthouse, a long-standing symbol of British oppression in the border town. 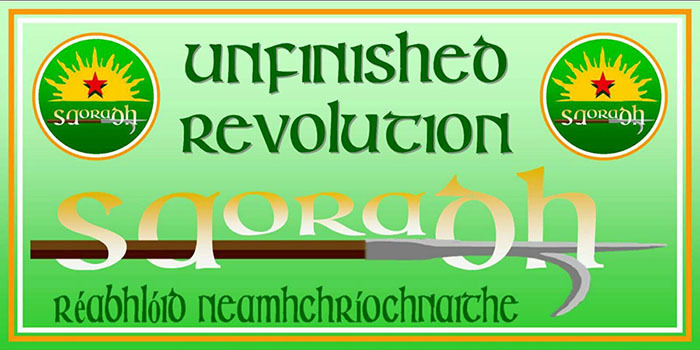 Commenting ahead of the protest local Saoradh activist Clíodhna McCool said, “There are currently three Irish Republicans facing extradition from the Free State to the 6 counties.